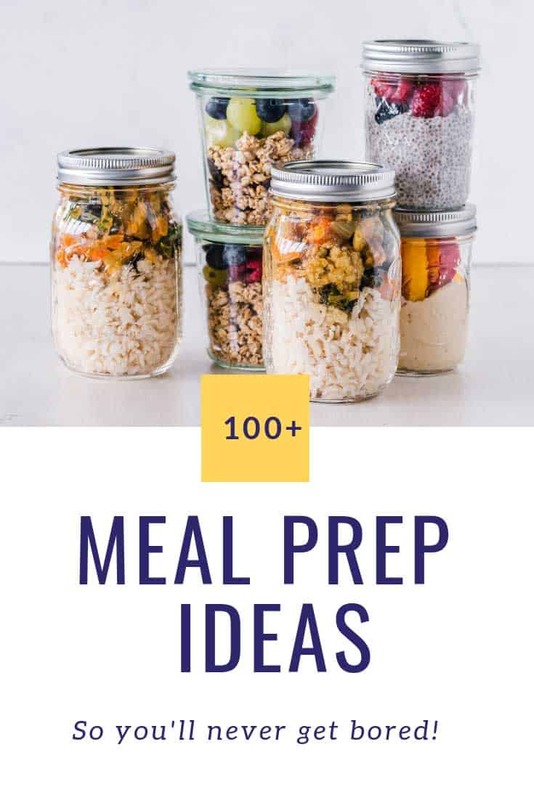 100+ Easy Meal Prep Ideas For the Week You'll Want to Try ASAP! Home > Recipes + Food > 100+ Easy Meal Prep Ideas For the Week You’ll Want to Try ASAP! 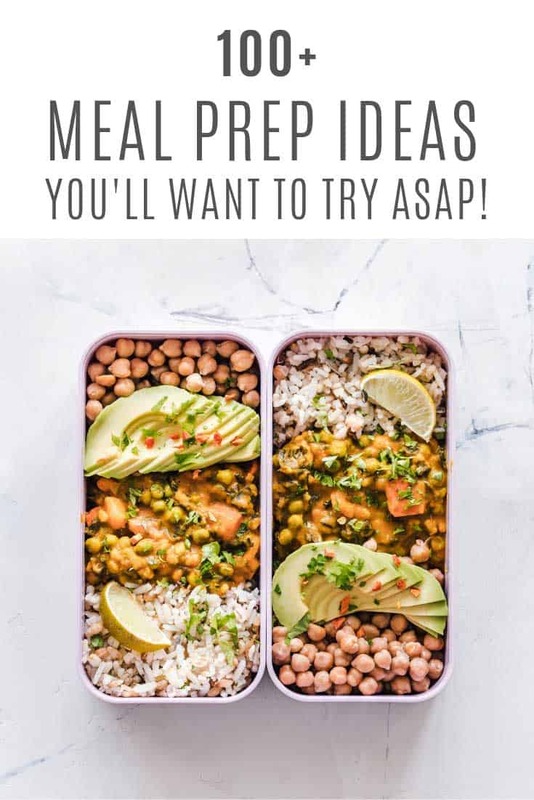 If you need proof that healthy doesn’t have to be boring check out these delicious meal prep ideas that’ll see you through the week! We’ve got you covered for breakfast, lunch, dinner and even dessert! There are so many benefits to meal prepping but some people worry about getting bored and eating the same thing every day. With so many delicious and healthy recipes that are suitable for meal prepping that really doesn’t have to be the case. Check out some of our favourite meal prep ideas for the week so you can see how easy it is to switch things up! With our self care hats on we want to do as many things as we can to make life less stressful and preparing meals in advance is one of them. Just think how much easier life will be when you come home from your busy day to not have to wonder what to make for dinner, or even spend time preparing it, because it’s right there in the fridge for you to heat and eat! It takes the stress out of grocery shopping too, since you have already planned out your meals for the week you’ll know exactly what ingredients you need and what you need to pick up from the store. Speaking of grocery stores, when you meal prep you will know exactly what you need to buy so you won’t pick up random things that cost you money. You’ll also save yourself on those multiple trips to the store each week where you always come out with more than you went in for. The other side effect of going to the store with no idea what you need is that you buy too much food and end up wasting it. This is bad for your budget and the environment. When you meal prep you’ll no longer have this problem! If you’ve been meaning to lose weight meal prep can help you with that too because meal prep containers can help you with portion control. You’ll have a better idea of how many calories you’re consuming too because you know in advance exactly what you’ll eat each day for breakfast, lunch, dinner and snacks. Speaking of looking after your body, when you meal prep you’re inclined to eat more healthily too. You can follow specific diets like keto or paleo while you meal prep, but even if you don’t because you’re making food from scratch rather than eating processed food or take out you’ll eat more whole foods. Not only is this good for you waistline it’s good for your health too. Sure you have to invest a few hours on a Sunday afternoon (or whatever day you choose) getting your meals prepped for the week but it saves you time overall. This is because you make your food in batches, so rather than making chicken every day, or chopping veggies you just do it once. Oh and it saves on doing the dishes too, which is always a bonus right? If you feel like you’re stuck in a rut and eating the same thing week in week out because it doesn’t require any thought then meal prep is just what you need to introduce some variety into your meals. You’ll find yourself looking up new recipes to try, and mixing and matching from the different food categories to come up with new combinations! Want to know more about how to meal prep and not get bored? Seriously there are hundreds of meal prep ideas out there so challenge yourself to try a new recipe each week. You can check out the collections we shared at the top of this page for starters, or follow our Meal Prep board on Pinterest. You will of course have some staple meals that you want to eat each week and that’s fine. You can switch things up a little by trying different fruit or veggie combinations. Same goes for your proteins, if you find yourself leaning towards chicken recipes why not try some fish ideas instead? Or how about getting your protein from eggs, tofu or quinoa? Sauces are your friend when it comes to adding variety to your meal prep, and it’s easier to whip up a homemade (healthier than the store bought alternative) sauce than you might think! Using your freezer as part of your meal prep routine will help to avoid the need to eat the same thing every single day of the week. You can cook in batches and store half in the freezer for a later week. It is possible to meal prep using regular food storage containers but you will need to make sure you have enough to store all of your separate meals. And also let’s be honest they’re not the most exciting things in the world so if you’re worried about getting bored treat yourself to some meal prep containers instead. Meal prep containers are specifically designed for meal prepping and come with compartments to keep different food ty[es separate so you don’t have to worry about things getting soggy. They’re not overly expensive either, a set of 21 stackable BPA free plastic containers can cost under 20 bucks. Glass meal prep containers are also an option if you’re willing to pay a bit more. Just make sure you think about the different kinds of meals you want to prep before you rush out and buy a big stack of containers. The ones with compartments are perfect for separating your proteins from your fruit and veggies, but if you want to prep soup you’d be better off with a bowl with a lid or even a thermos flask.